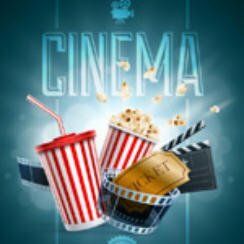 Popcorn Cinema Show takes a look at the weeks new movie releases (June 24 2016) for the UK, US, Australia and New Zealand at the cinema, plus all the weeks film news. Independence Day Resurgence is the big release in the UK, US, Australia and New Zealand. So no surprise as Finding Dory goes straight in a t number one at the box office in the US, whilst the Conjuring 2 in the UK enters the charts in top spot. Two decades have passed since the events of the first film and Earth now faces another threat. On 21st December 1970 Elvis Presley turns up at the White House requesting to meet with President Richard Nixon with the intention being to swear him in as an undercover agent in the Bureau of Narcotics and Dangerous Drugs. Susan Sarandon plays a mother with too much time on her hands following the death of her husband. She directs all of this new found time on to her daughter turning up at the most inappropriate times. A poor farmer from Mississippi rallies farmers and slaves in a rebellion against the Confederacy .